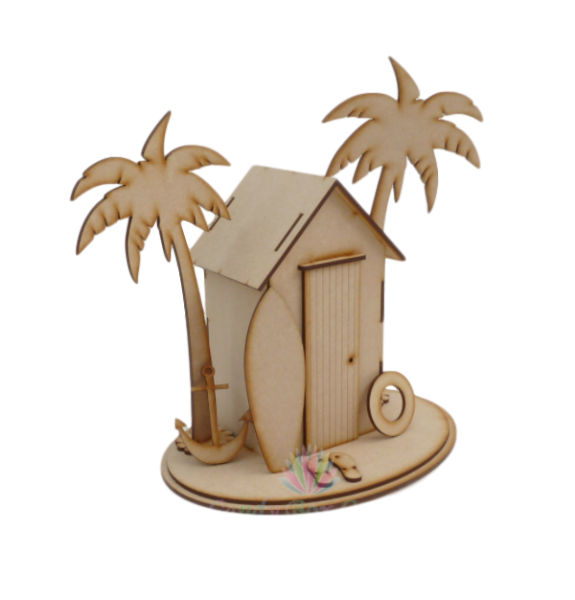 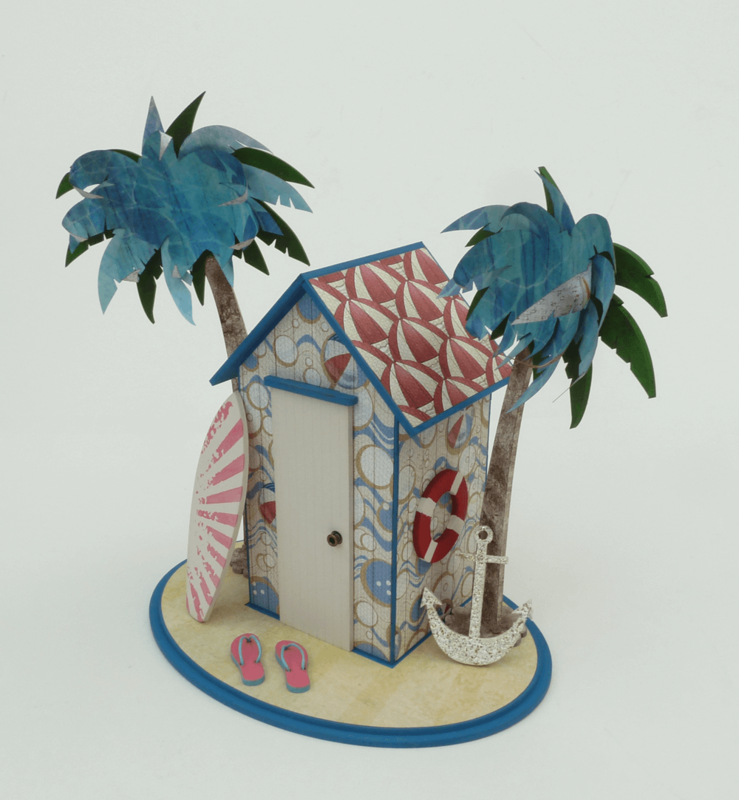 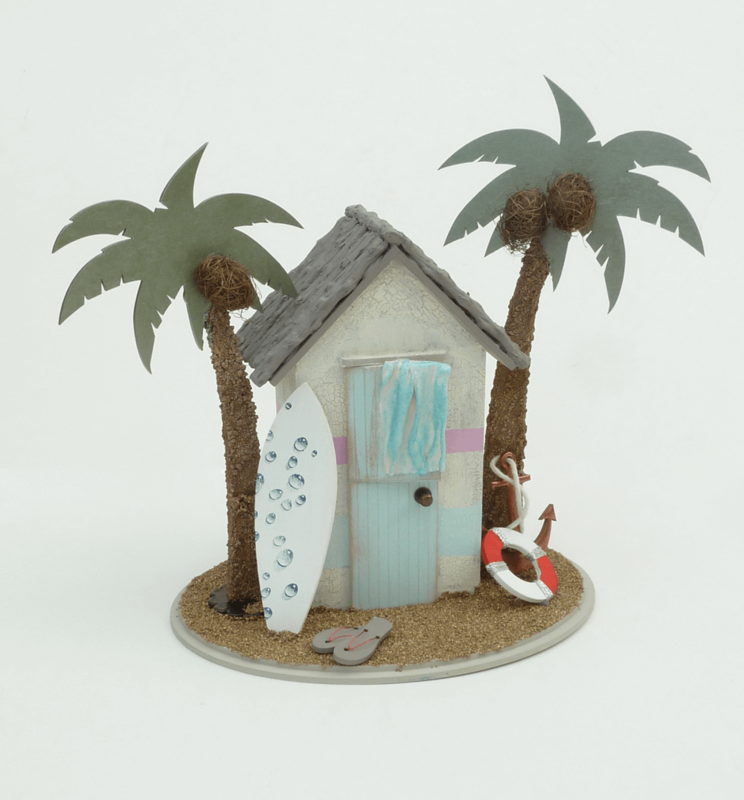 Made from 3mm Mdf, you'll have so much fun decorating this Beach Hut Money Box. With two mdf palm trees, a surf board, life buoy, anchor and a pair of flip flops you have all you need to create something amazing. 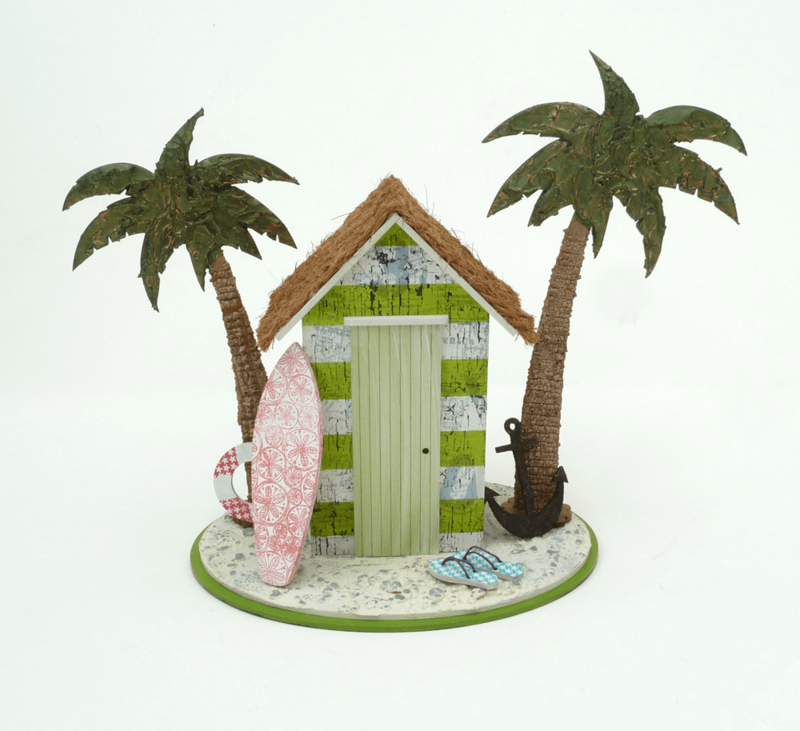 Size: Base is 220mm wide x 165mm deep - overall height to top of tallest Palm Tree 240mm.